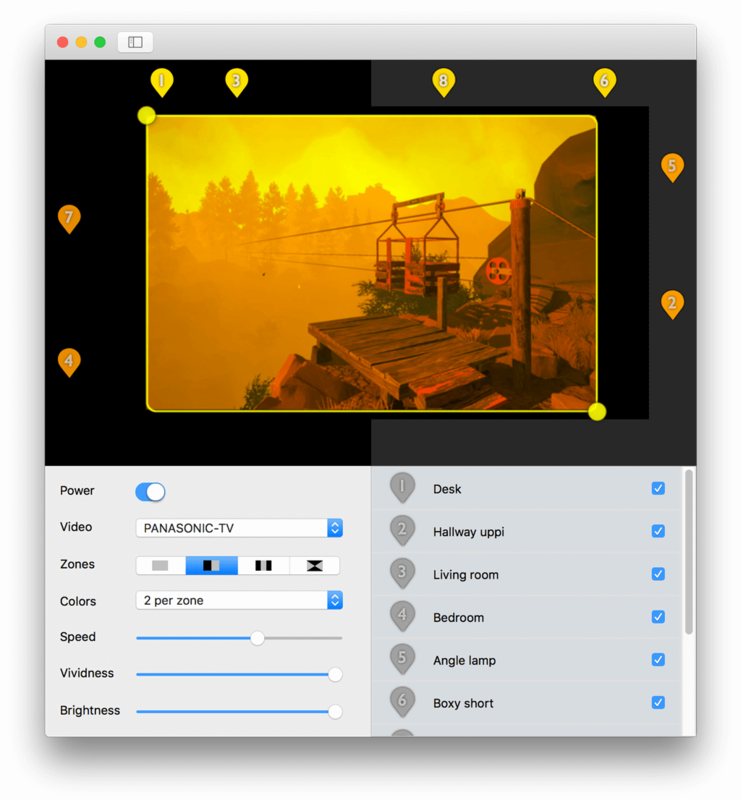 Send TV colors to Hue, LIFX, and Avea with Desktop TV for Hue. Immerse yourself in video colors. 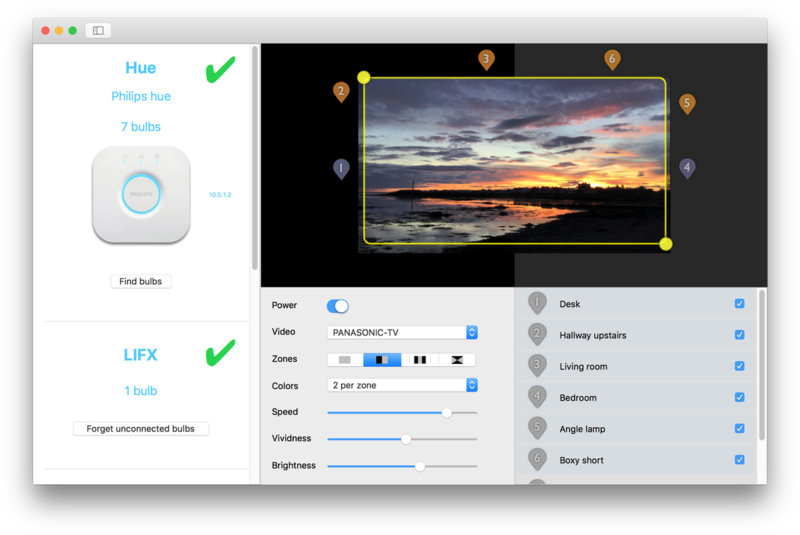 Send colors from your screen or webcam to Hue, LIFX, and Avea bulbs. Just aim Desktop TV for Hue at a video source and your space lights up with colors that follow the show or game you're watching. Too cool! Divide the screen into zones. Each zone gets colors and bulbs. 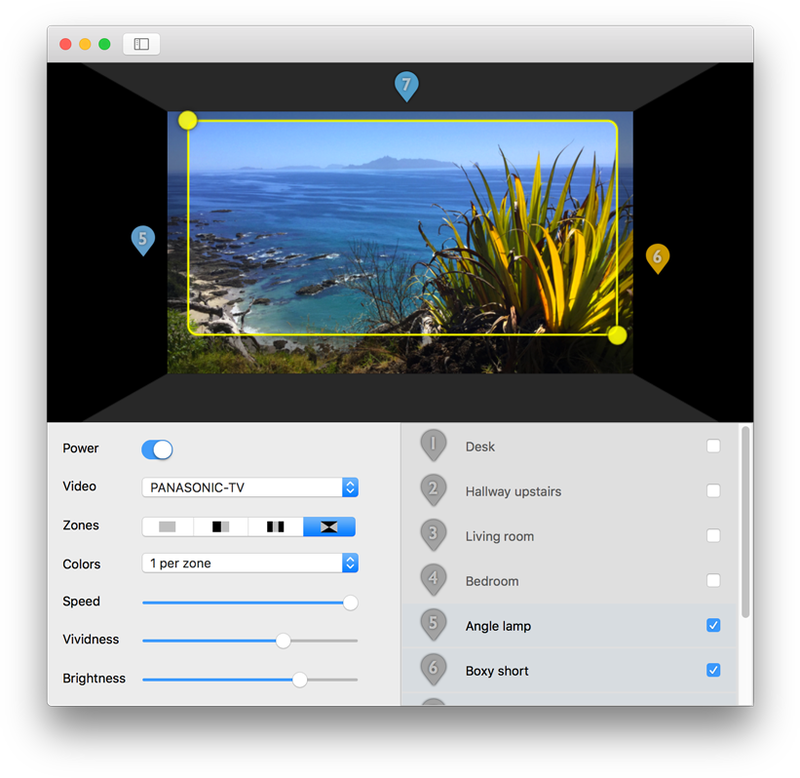 Using your laptop's camera, or any webcam or screen, the app chooses the most important colors in the picture – up to three per zone – and puts you in the show. Even add extra, harmonized colors for a sophisticated effect. Great for movies and games. We hope you’ll give Desktop TV for Hue a try.